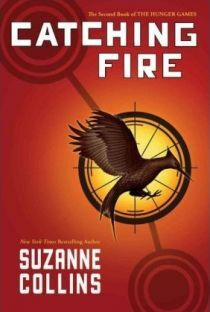 Catching Fire is the highly praised sequel to Suzanne Collin's The Hunger Games. This book was a complete surprise to me. I did not see the events coming, and Collins hit it out of the park. Again. I said it in my review of The Hunger Games, but I'll say it again - this book (series) was a major page turner for me. At this point in the series I started buying extra copies for gifts. If you haven't started the series yet, make it so. I just finished Mockingjay yesterday and am still trying to digest everything. I enjoyed Catching Fire and was very surprised by the conclusion. Also, I just started the Gunslinger and am anxious to read your reviews after I finish! Let me know what you think of The Gunslinger! I'm up to book 4 - I'd love to hear what you think. This is one of my fave series!! Thanks for review.